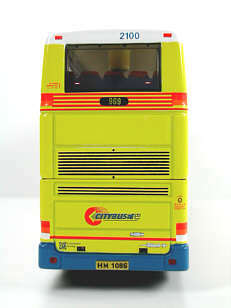 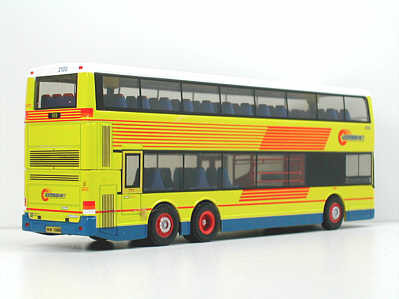 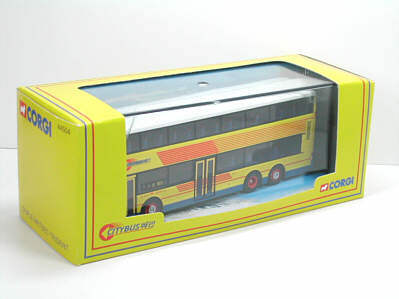 The model - the fifth Citybus Duple-Metsec Trident released by Citybus/Corgi features the very first low-floor bus for Citybus, in a unique livery of predominantly yellow, with a blue skirt and red stripes. 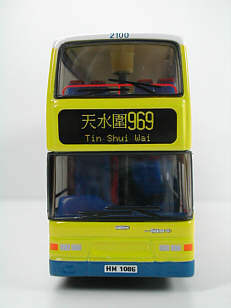 This model was released in Hong Kong during April 1999 and in the UK in June. 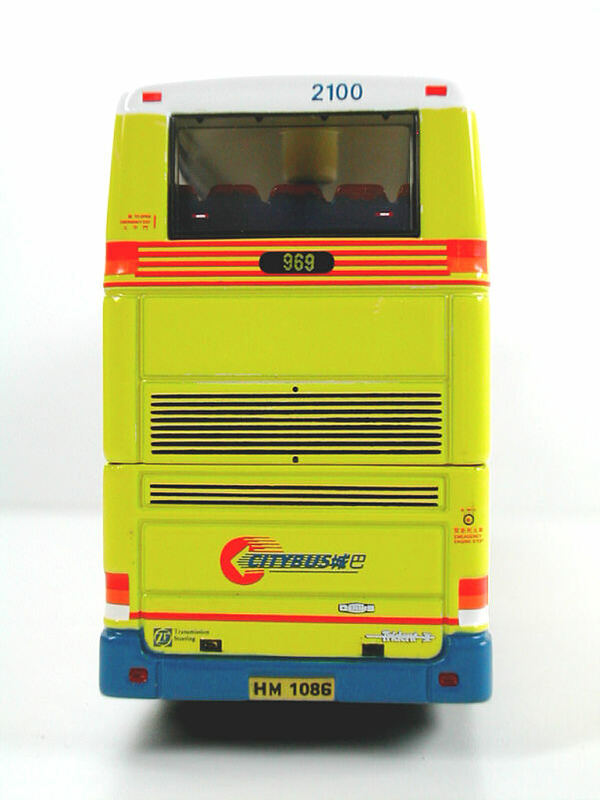 The bus - 2100 was the first low floor double-deck bus for Citybus and was one of the six prototype Dennis Tridents, arriving in Hong Kong in September 1997. 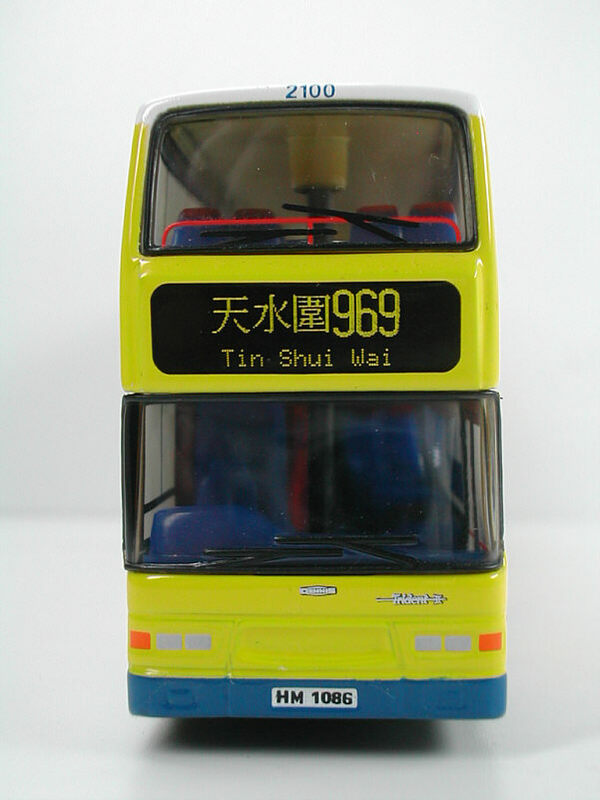 It is featured on the front cover of the 1998 Hong Kong Buses Yearbook. 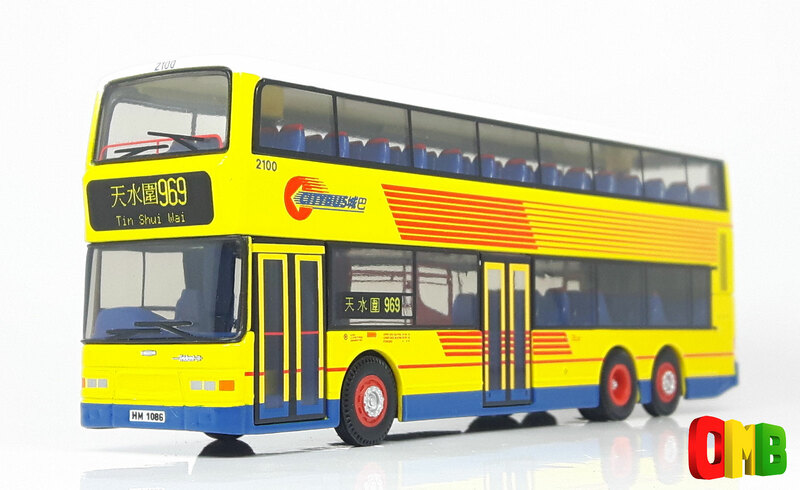 The Duple-Metsec body was built to a luxury coach specification to evaluate its suitability for use on a network of routes serving the new Hong Kong Airport. 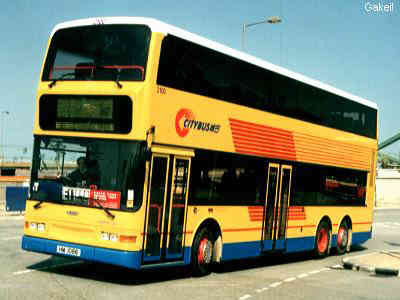 The facilities include reclining seats, luggage racks, individual reading lights, overhead lockers and of course, air-conditioning.